Built on AR15, forged aluminum Mil-Sport upper and our patented polymer hybrid Omni lower receiver, this rifle is fitted with a 16” M4 profile barrel. This rifle is ready to take to the range with made in America pride. 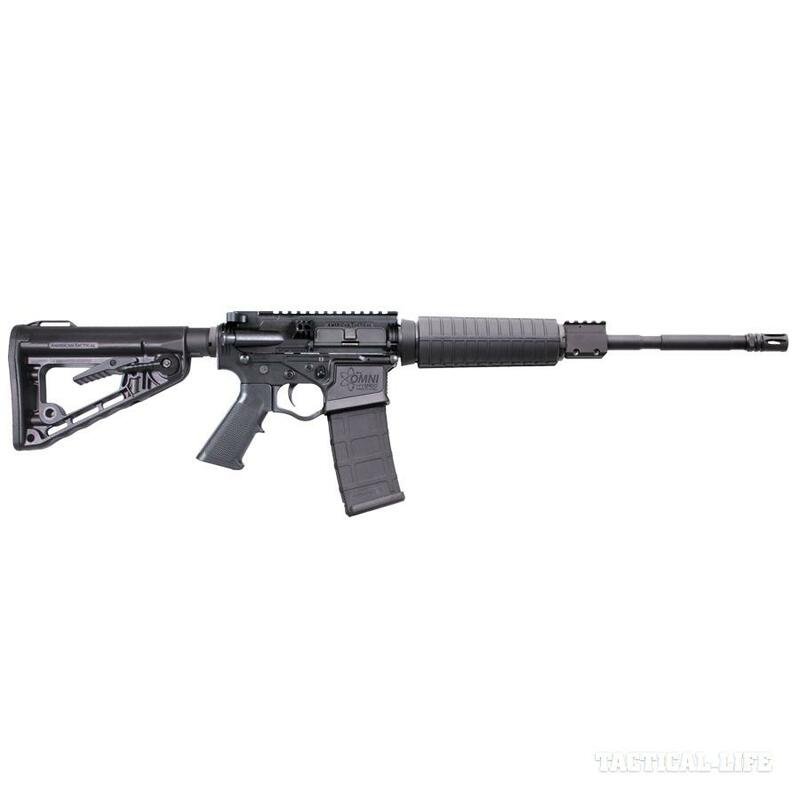 Built on AR15, forged aluminum Mil-Sport upper and our patented polymer hybrid Omni lower receiver, this rifle is fitted with a 16” M4 profile barrel with 1:7 button cut rifling chambered for 5.56 NATO, a carbine length gas system with rail height, picatinny topped gas block, six position adjustable Roger’s Superstock, and A2 style compensator. Trigger group consists of an AR15 pattern, Mil-Spec lower parts kit.